Scuderia Toro Rosso unveiled its STR14 car for the upcoming season in an event held on youtube. The Faenza based team started promoting the event 2 weeks ago with the revealing of the launch date, and a couple of days ago audio of the 2019 Honda PU firing up. 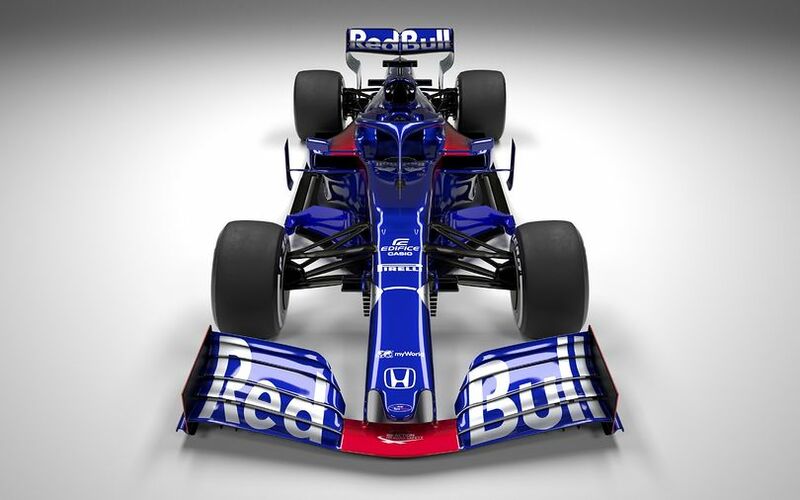 The video featured what is very probably a heavily simplified version of the STR14, shown in a rendered video with some special effects assembling the car. The launch pictures do give some better ideas what Toro Rosso has in mind. First of all, they ditched the raised front suspension and reverred back to an ordinary one, with no more upright piece inbetween the suspension and the wheel attachment. 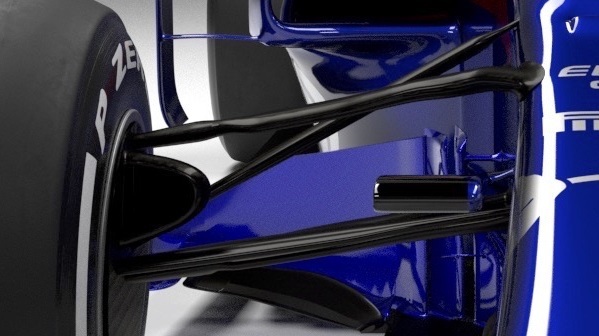 Second, the mirrors have peculiar horizontal supports which bend down vertically to the front edge of the cockpit opening, seemingly trying to create a flow conditioner to clean up airflow on top of the sidepods. Last year there was quite a bit of controversy around mirrors being used as aerodynamic devices, culminating in Ferrari having to alter its Barcelona design. Let's see if the regulatory body is happy with these mirror stalks. 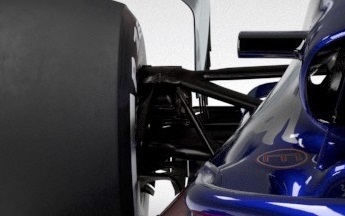 At the back of the car Toro Rosso seems to have risen the rear suspension, trying to create more room for airflow on top of the floor. Since Toro Rosso shares rear suspension with Red Bull, expect to see this on the RB15 as well. Note that the front wing design is way too much simplified; this is probably not even the version they will be bringing to testing. A big tell-tale here, is the straight endplate, while a 15° angle is allowed (plus a little bit extra through profiling). All in all, Toro Rosso seems to keep its cards close to its chest what a pretty none-revealing launch, with the exception of a few interesting details. We'll have to wait for testing to kick off or even the first race in Melbourne to see what Toro Rosso really has up its sleeve.